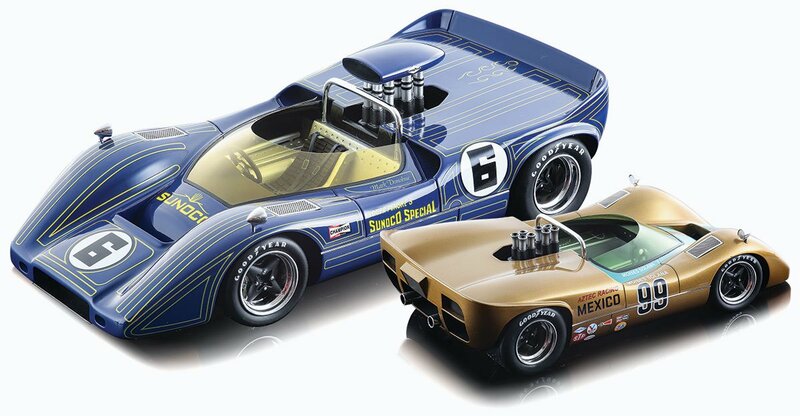 You may remember that last year Tecnomodel produced a few 1:18 replicas of the Can-Am McLaren M20. They were a sensation, all but selling out within days of being released. 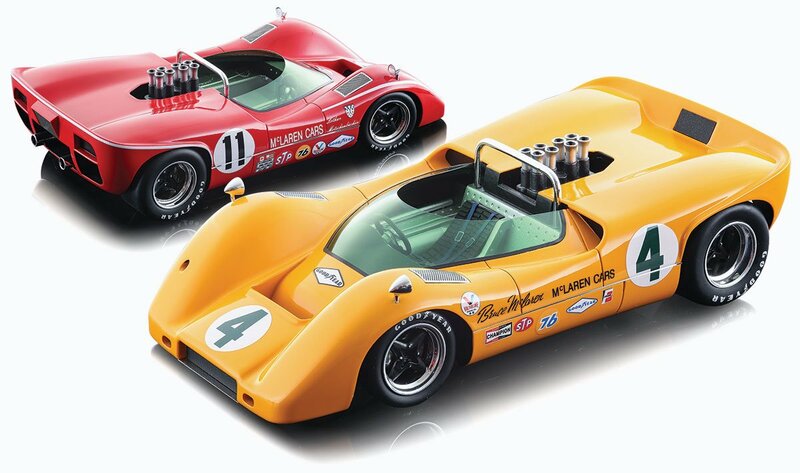 The Italian model manufacturer has now just released a quartet of earlier Can-Am McLarens, namely the M6A and M6B. We expect these to go exactly the same way. McLaren absolutely dominated the 1967 Can-Am series with the M6A, with drivers Bruce McLaren and Denny Hulme winning five of the six races between. The team owner’s successes came in the Laguna Seca and Riverside meetings, and it is the first of these that Tecnomodel has based its 1:18 replica on. It is limited to just 250 pieces worldwide, which is next to nothing for such an exciting subject from the history of motor racing. We were able to bring just 10% of that number into the UK, and are already down to just eight pieces left on our shelves after sending out our customer pre-orders. Bruce also took the title that year, by the way. 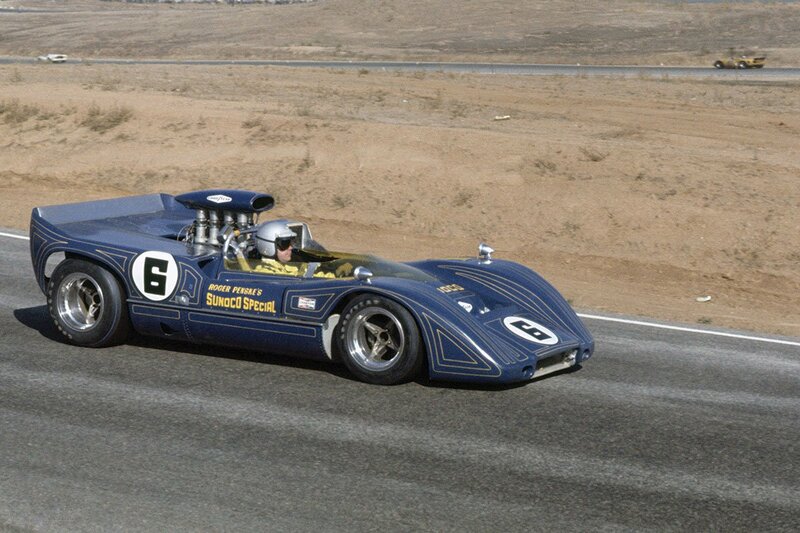 The following year Roger Penske purchased an M6B and, with Sunoco backing, hired Mark Donohue to drive it in an effort to take on the orange works machines. Although the partnership would be unable to take the title, Donohue did win the second race of the season in Bridgehampton, and scored three more podiums to place third in the final standings. Unsurprisingly, it is the Bridgehampton car that Tecnomodel has replicated. This one is restricted to a mere 220 pieces, and we have just half a dozen examples of this one remaining. The red #11 M6B was driven to third place in the Bridgehampton round of the 1968 Can-Am series by Lothar Motschenbacher, while the gold #99 machine was campaigned by Moises Solana in the Laguna Seca meeting. These two replicas are restricted to just 80 pieces worldwide each, so even calling them rare doesn’t do them justice! You would only need one hand to count how many we have left available between them for these two Can-Am machines. So, in case we haven’t got the message across yet, these Tecnomodel pieces are special. Special and rare. Special and rare and not long for this earth (not in our warehouse, at any rate). We’ll leave it there.